← A King’s Ransom: Really? S$30/head to enter ArtScience Museum? TNAGS is the next big thing on our permanent art scene. I remember clearly that the initial costs of converting the Supreme Court were later deemed too low. However, I found it difficult to find the initial-versus-revised costs online. Anyway, I did find some info eventually. The Australian online newspaper (click ‘here‘) reported on 6 July 2010 that TNAGS’ building-works “…was initially estimated to cost $S320 million, a price tag the government now admits was too conservative for a project expected to be completed in 2013.” This figure must be correct as the reporter stated that he was invited to Singapore as a guest of the National Arts Council to cover news about TNAGS. In a press release in December 2010 (click ‘here‘), TNAGS itself announced that “…total development costs are estimated to be about S$530 million…”. Curiously, it did not mention why the costs have increased by 40% since the Australian report dated only five/six months earlier. 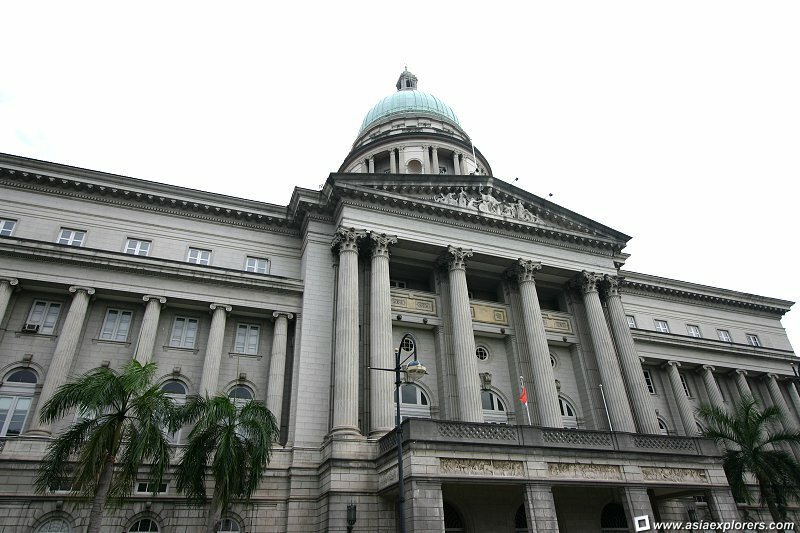 Cases of gross under-calculations in Singapore government spending have arisen recently. Most notorious is this: The budget of “…the inaugural Youth Olympic Games (YOG) has surpassed original estimates of US$75 million ($104 million) by more than three times – to about $387 million” (click ‘here‘). So TNAGS’ 40% increment is in fact nothing compared to this whopping 300%+ jump! For the TNAGS, I am sure the building/infrastructural costs are high because of the age and grandeur of the old building. However, I am disappointed that, again, the government seems to been spending a whole lot more on outward appearances (i.e. sprucing up old buildings to house national museums, such as Empress Place, the National Museum, old Tao Nan School), than on actual ‘heritage’-linked stuff, such as acquisition of artefacts, large free blockbuster exhibitions etc. To put a perspective on TNAG’s price tag of S$530 million even before it officially opens, consider this: The Guggenheim Museum Bilbao in Spain is one of the most talked-about new museum architecture in the world (by Frank Gehry), was built from scratch for a relatively paltry sum of USD$128 million (click ‘here‘) in the 1990s. i) how much impact such a new museum building would have. Rather than having the needs of a modern art museum conforming to the old supreme court building, imagine what joys museum professionals will have with a brand new building that is molded to suit their needs instead. And to boot, Singapore would have spent money on a brand new landmark to boost its skyline too! ii) how all that savings of hundreds-of-millions of building costs can actually go directly instead to museum-activities/acquisitions! Even when you imagine that a spanking new museum costs only half of the S$530 million for the supreme court, Singapore would have saved S$265 million for additional heritage programs. (NHB’s FY2010 operating budget is only S$99 million! Click ‘here‘. A new building for TNAGS could potentially save enough money to run NHB for 2.5 years without further funds from the government!). So we are spending half a billion tax-payer dollars on TNAGS, but in the name of what? So that we can get a hyper-expensive ‘new’ (but actually ‘old’) museum in lieu of a brand new, custom-built one with a whole lot more in artifacts and activities? ?